They did not like the cover. In fact, I think I could posit a mathematical theorem based on the titles of their reviews: Taylor titled her review, “Because the Angels: What Christian Fiction Should Really Aim For.” ∴ Grandiose praise of Because the Angels in review titles is in inverse proportion to the reviewer’s regard for the cover design. So why did I choose to have the cover look the way it did? Well, my novel heavily featured the anime series Blood+, so in my writer’s fantasy, an editor would be bowled over by the novel’s unique concept, of course, and consult me about the cover design. I would suggest that they contact the production company that owns the copyright to Blood+ and get permission to have the main character, Saya, slashing through a collage of photos representing the Iraq War (blood, explosions, Abu Ghraib, etc.) with her sword. I had wanted the samurai figure to be wearing sneakers, but neither my niece nor my sister-in-law could get the feet right; hence, the explosion. But overall, I am still pleased with the result. If the book is ever picked up by a another publisher and they say they want a different design, I will be open to that, of course, but for now, as an indie author, I can only be grateful to have artists, professional and amateur in my family, who listened to my ideas for the cover and for independent reviewers who liked my book—and also didn’t charge me. 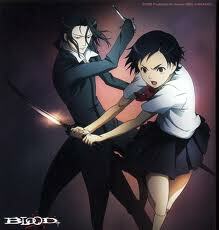 Check out some Samurai Champloo and Joss Whedon sites for Because the Angels promotion. When I go back to work for Christian Peacemaker Teams in June, it will be nice to look back on this list, and remember there was a time when I really spent most of my creative energy on writing. In the past year I have been participating in She Writes.com, and the thing that has been impressed upon me most is that every author, especially ones who are trying to sell self-published novels, must have her own website. The great thing about She Writes is that there are people who could point me in the direction of how I could go about getting my own site (KathleenKern.com was already taken–it redirects to Mutual Managed Health Solutions Inc.). But I have been putting it together with a lot of trial and error and a lot of calls to the good people at Startlogic.com. Props also to Rebecca Forster who showed me what I could aim for at www.rebeccaforster.com, the surnameless Karma, and Petrea Burchard for help they have given me on She Writes in recent months. As you can tell by my front page, I am promoting my novel Because the Angels, now available on Kindle. 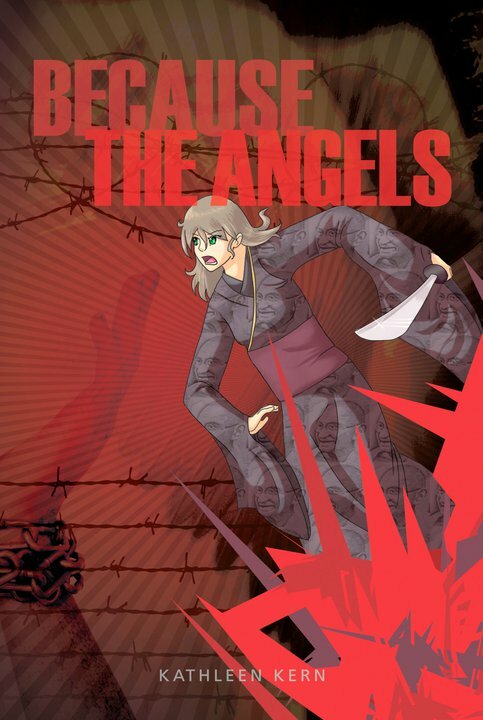 If you liked Samurai Champloo, Blood+ or anything by pre-Avengers Joss Whedon, you’ll probably like Because the Angels. If you liked the Avengers, you might like it too, but his previous work had a little more of the delicate blend of pathos and humor that I strive for in my writing. I have also just gotten out my third novel “Shea” to my most loyal first line readers, and you will be reading more about it here in the coming months. For those of you who are biblically literate, it is a retelling of the Hosea-Gomer narrative, with the gender roles reversed, taking place against a background of Christian-Fascist religious syncretism instead of Israelite-Canaanite religious syncretism. About 100 years from now, serial philanderer Islam Goldberg-Jones is writing his memoir from prison, recounting how he, his wife Hoshea Weber, and hundreds of other people in various resistance movements helped bring down the Christian Republic that ruled the United States between 2049-86. If you’d like to see some of my other books check out my Amazon author’s page.